Periodontal disease is a progressive condition which leads to severe inflammation and tooth loss if left untreated. Antibiotic treatments can be used in combination with scaling and root planning, curettage, surgery or as a stand-alone treatment to help reduce bacteria before and/or after many common periodontal procedures. Antibiotics can be prescribed at a low dose for longer term use, or as a short term medication to deter bacteria from re-colonizing. Macrolide antibiotics – This group of antibiotics has proven effective at reducing inflammation, and can also reduce bacterial growth associated with periodontitis. Noticeable periodontal improvements are usually seen after systemic or oral antibiotic treatment. Your Periodontist or dentist will incorporate and recommend the necessary antibiotic treatments as necessary for the healing of your periodontal condition. 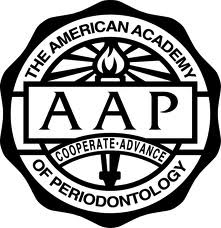 If you have any questions about periodontal disease or antibiotic treatments, please ask your dentist.